This is a rather young cosmetic house created in South Africa by a leading team of absolute skin experts. What I love about this range is that it concentrates on problem areas and can be incorporated into other cosmetic ranges. 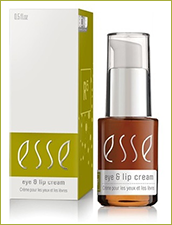 Its active ingredients are very high making it excellent value for money and it is absolutely result driven! An absolute niche-product for the whole cosmetic industry! Very rewarding to work with. Affordable and works!!! 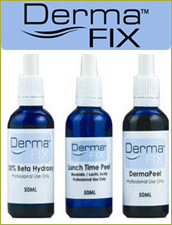 If you are looking for a product on the forefront of being ahead with anti ageing- Dermafix is it! The unique approach to skin care pioneered by Dermalogica is based on several important differences between Dermalogica and any other skin care product. No Mineral Oil - Mineral Oil is a petroleum by-product which leaves a greasy film on the skin surface. Dermalogica uses lightweight, natural vegetable oils as alternative emolients. No Lanolin - Lanolin is a wax derivative of sheep wool, and can be allery-causing and comedogenic. Dermalogica uses aromatic essential plant oils and silk proteins as moisturizing agents. No Artificial Colours - Artificial colours in products can cause skin irritation and breakouts. Dermalogica does not use artificial colour. The natural ingredients determine the final appearance of any Dermalogica product. No Artificial Fragrance - Companies add artificial fragrance to products to improve their smell. These can cause allergies and skin sensitivity. Dermalogica allows the herbal extracts and aromatic plant oils in the formula to determine the products unique fragrance. No S.D. Alcohol - Specially Denatured Alcohols are used in many products to artificially dry the skin surface. This strips natural moisture from the skin and leads to excess dryness. Dermalogica uses naturally astringent herbal extracts and oil-absorbing clays to help treat excess oiliness in problem skins. No Formaldehyde - Formaldehyde is a common preservative in many products. It can cause skin dryness and irritation. Dermalogica preserves its products with alternative preservative systems to ensure the safety of the products throughout their usage. 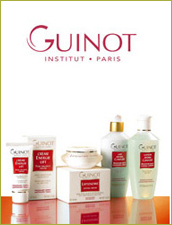 Non Comedogenic - Products may contain comedogenic ingredients, which cause skin breakouts and acne. 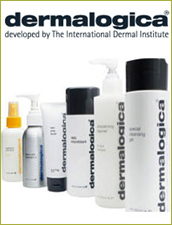 Dermalogica products are designed to be non-comedogenic, and are suitable for acne-prone skin conditions. This is why they are recommended by dermatologists and used in their medical practices. Contamination Free Packaging - Products that are packaged in jars are easily contaminated with bacteria from the hands and environment. Dermalogica packages its products in the most hygienic containers, to avoid contact contamination during use. When you look in the mirror, you see more than just a familiar face: you pick up the signals that are emitted by your skin, your lips and your eyes. We believe that you can sense what is benefitting you today and what is helping you to be at one with yourself and the world. We believe that your face cannot be observed as separate from your body, your body not separate from your mind and your inner being not separate from external influences. Our facial care affects more than just your skin. Your skin is unique. Skin is a flexible, strong yet sensitive organ. You and your skin cannot be classified as a single ‘type’: you need the right care concepts for different days and places, different seasons and different stages of life. At Dr.Hauschka, we therefore refer to skin conditions which appear and disappear, rather than static skin types. You are not ‘dry skin’ or ‘combination skin’. You will tend to have certain skin conditions but do not retain these for life. For example, you may use Quince Day Cream for normal skin most days of the year but replace this with Rose Day Cream if your skin is feeling sensitive. 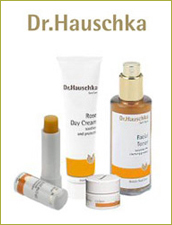 Dr.Hauschka facial care products are as diverse as you are. Whatever your skin condition at your current stage of life, the precious product compositions stimulate your skin’s natural regeneration. Welcome to your own personal balance. 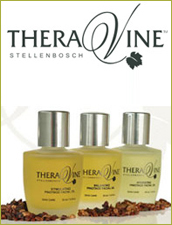 Theravine™ is based on Grapes(vinotherapy). It’s from Stellenbosch. Launched 2004. Grapes has the highest anti-oxidants levels- a TRUE shield against harmful effects from environment. The proanthocyanidins(opc’s) in Grapes is 50 times strength of Vit.E and 20 times strength of Vit. C. The stylish application of aged wine to the face to create a radiant complexion dates back to King Louis XIV. The benefit of red wine is widely known, but grapes on your skin (vinotherapy) have the same effect. Available all over world, 250 SPA’s in South Africa. Lanzerac-Stellenbosch, Sun City and Gochganas in Namibia! Matis Paris is a comprehensive, elegant and professional skin care brand with a strong Parisian heritage and international appeal. With over 15 award winning formulations, Matis Paris is distributed to over 70 countries via a network of Skin Care Experts. All formulas are developed by an exclusive in-house Matis Paris Lab with meticulous testing administered by a team of specialists for quality, security and efficacy. By combining the best of science and nature for over 25 years, Matis Paris creates skin care products that address the concerns of every woman and man. 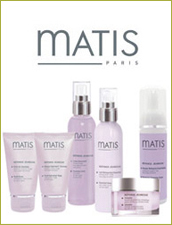 Create healthier, more beautiful and younger-looking skin with the exceptional formulations of Matis Paris. 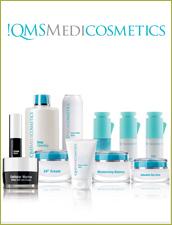 QMS Medicosmetics was born from Dr. med. Erich Schulte’s passion for advancing the science of skincare. Over 30 years ago he pioneered a unique collagen-enhancing process, which led to his founding skincare innovation, the Classic Collagen Set. 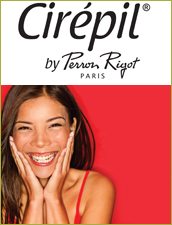 Cirépil by Perron Rigot believes: “It’s not just about what is removed, it’s about what is left behind … healthy skin!” Unlike other wax products, Cirépil wax sticks to the hair rather than the skin, reducing the pain of waxing by 50%! Cirépil wax encapsulates the hair, removing it from the root while leaving the skin undamaged. When the integrity of the skin is uncompromised, there is reduced inflammation, redness and downtime for the client; making painful waxing a thing of the past! strip-less wax suitable for all techniques and skin types. Only the finest ingredients are used in their formulations. Cirépil offers different varieties and textures of Cirépil waxes to create a targeted solution for each client’s need, ensuring perfect results and customer satisfaction. By sleeping on 100% organic SilkLady pillowcases, your skin benefits while you sleep and you delay the aging process through a natural and healthy way. Silk has very similar properties to human skin – it contains a natural protein that contributes to skin health by speeding metabolism of skin cells, decreasing aging of facial skin, as well as calming the nervous system. It’s at nighttime when your skin repairs itself. 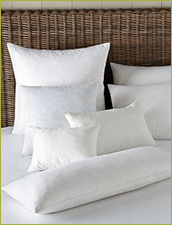 Silk pillowcases help to keep your skin-care products on your skin and give your skin the best chance of hydration through the night. Silk reduces the loss of natural hair oils and moisture. After sleeping on 100% organic SilkLady pillowcases you wake up with glossy hair and younger-looking skin that is hydrated and free of creases. SilkLady pillowcases are not only the softest pillowcases you ever touch, but they also provide the best organic skin-care and anti-aging solution! Taking all the advantages of Spa and combining it with the fun and playful aspect of playing with jelly. Turning ordinary water into translucent fluffy jelly; Jelly Pedi/Mani is utilized as a pre-soak for Pedicures/Manicures. Customers can soak exfoliate and massage in a tub full of jelly for a unique spa experience. Acts as a burst of hydration for dry and tired skin. Plant oils deeply moisturize skin. Highlight of this experience is soaking in this gelatinous foot bath and massaging Jelly Pedi/Mani into the skin and muscles, stimulating senses that have never been touched before. Jelli in spa will be a totally new experience, one that will not be forgotten. Benefits: this flavour stimulates blood circulation while the menthol cools and relieves tired, overworked feet. Its vibrant green colour and fresh menthol scent invigorates the senses to ensure absolute rejuvenation. Benefits: this flavour stimulates blood circulation while the citrus promotes healing. The pomegranate provides soothing and hydrating relief while swollen hand/feet can be eased with its anti-inflammatory properties. Its subtle delicate pink colour and subtle scent ensure absolute relaxation. Benefits: this fun flavour stimulates blood circulation while the citrus from the lemon promotes healing. Its delicate blue colour and subtle scent helps calm the senses to ensure absolute relaxation.